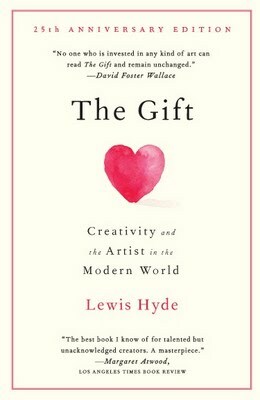 I just finished Lewis Hyde's The Gift, Creativity and the Artist in the Modern World. One of the more interesting aspects of the book for me was the integration of the ideas regarding the gift economy with the artistic process. I highly suggest reading this book to anyone interested in defining more tangibly what is gained from the hours of unpaid work we do in service of our art.